Starting this year the Chatham Farmers and Makers Market will be under the umbrella of CABA (Chatham Area Business and Arts). We believe in supporting the local economy through the small farmers and businesses that combine to make this the wonderful area it is to live and work. There is no better place than your local farmers market to make a difference in the world. Please join us every Friday, at the Gazebo, starting May 24 until October from 4:00-7:00pm . Check out our confirmed vendors list and check back as we add more. Family meals, fresh juice, pickles, homemade sauces, catering. Located just outside Philmont on 140 acres of beautiful farm land. Dedicated to serving our community with fresh organic & biodynamic produce. A family farm in New York that specializes in “Happy Meat”. We sell pork, chicken, beef, lamb, and turkeys. AND, delicious homemade pies and fresh eggs. Information on local events and businesses. 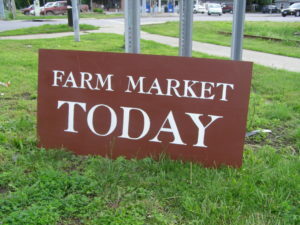 Weekly, we will have a guest business/farm from the Chatham area community.